In the above figure, assignment of peptide sequences to different proteins are shown in "Protein N" column in the first sheet. For example, the first protein contains 20 such sequences. 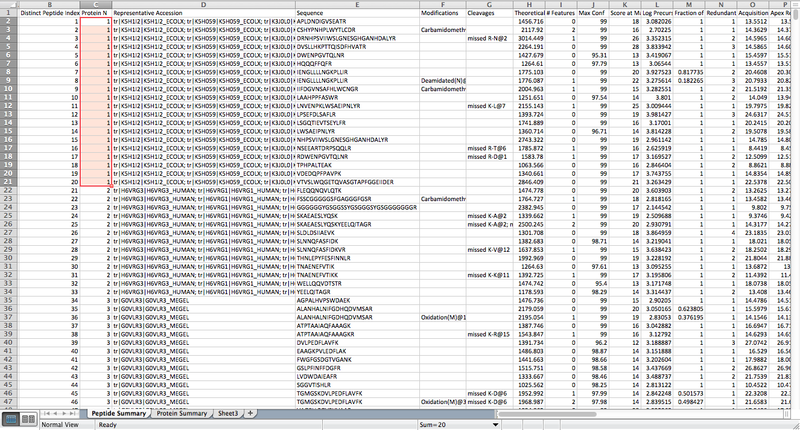 The "Representative Accession" lists all the ambigious protein assignments identifiable Uniprot IDs. We have written the processPROT.py script that can read the Excel files generated from ProteinPilot, download the protein sequences and associated metadata from Swiss-Prot using ExPASy server, and filter out any proteins for which there is not enough supporting evidence (less than 2 peptides sequences assigned). You can use -i switch to provide as many Excel files as you have for a given sample, with the tab-delimited output file listing proteins with unique numeric identifiers with the format [Sample ID]_[Protein ID] as shown in the first column in the following figure. We output a 5-tuple record (ID, Uniprot Identifier, Name, Assignment to Organism, Taxonomy ID, Classification Path of the Organism, Protein Sequence). Columns with missing data have __NA__ value in them. Next, we use RAPsearch to search our protein sequences against the KEGG database and get a tab-delimited blast output file (identified by *.out.m8 ending). To speed up RAPsearch, you can specify the number of cores to run on using -z switch. 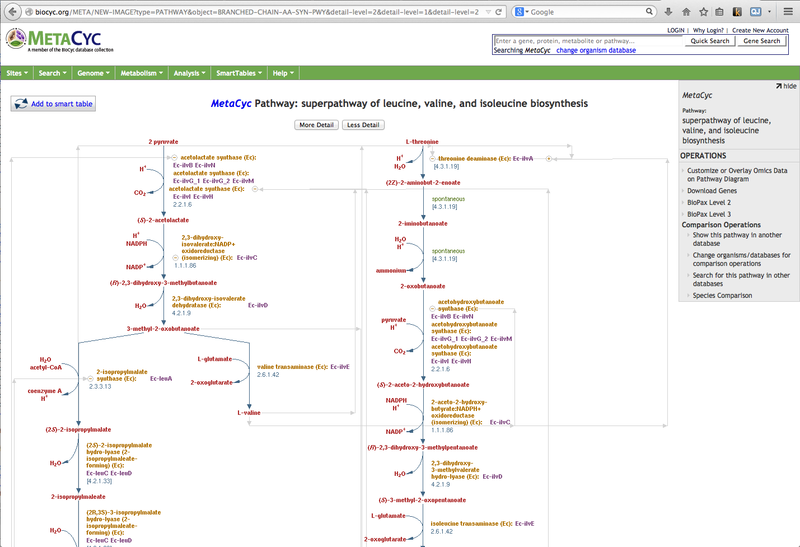 MinPath comes with a mapping file ec2path that lists the reference pathways from MetaCyc and all the EC numbers associated with them. 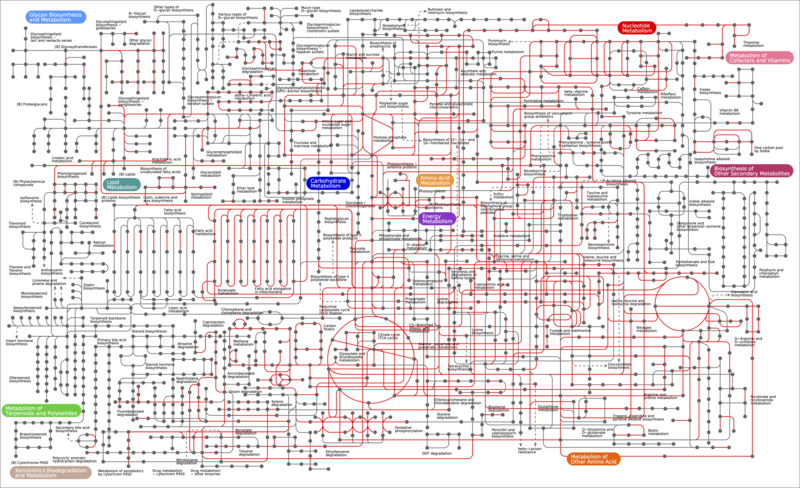 MetaCyc serves as an encyclopedia of metabolism containing more than 2151 patways from more than 2500 different organisms. Next click on the "Customize" button to load the "Customization and data mapping" tab, and upload Sample_1.ec.report.kegg.ipath by clicking on "Select file" button. This will populate the "Element selection" text area. 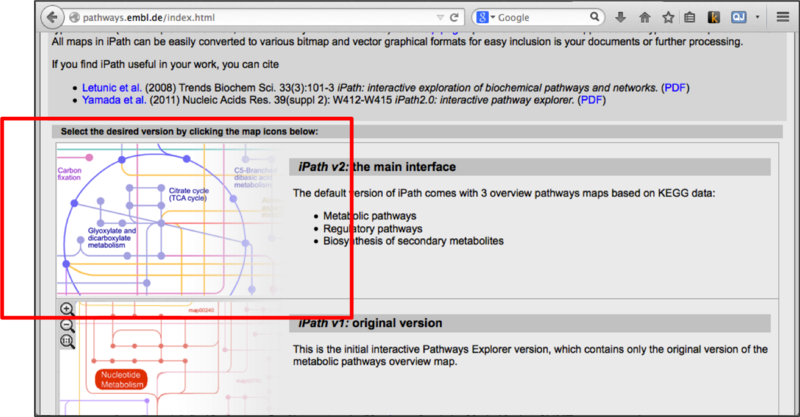 You can manually assign different colors to your pathways here. 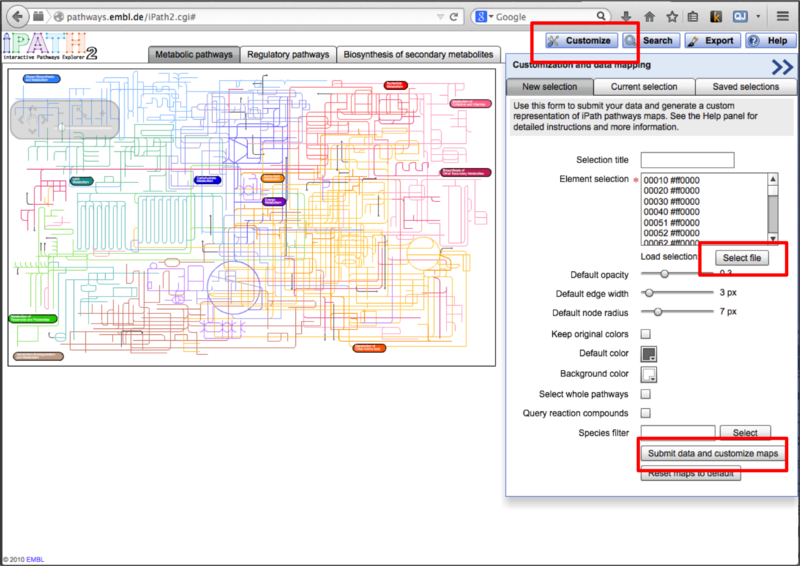 Finally, click on "Submit data and customize maps" button to generate your metabolic network. You can then repeat the same analysis on your other samples. Last Updated by Dr Umer Zeeshan Ijaz on 05/07/2014.